I like eels, yup those creepy faces are just too cute not to like. They are funny and usually put on a good show while we are diving. 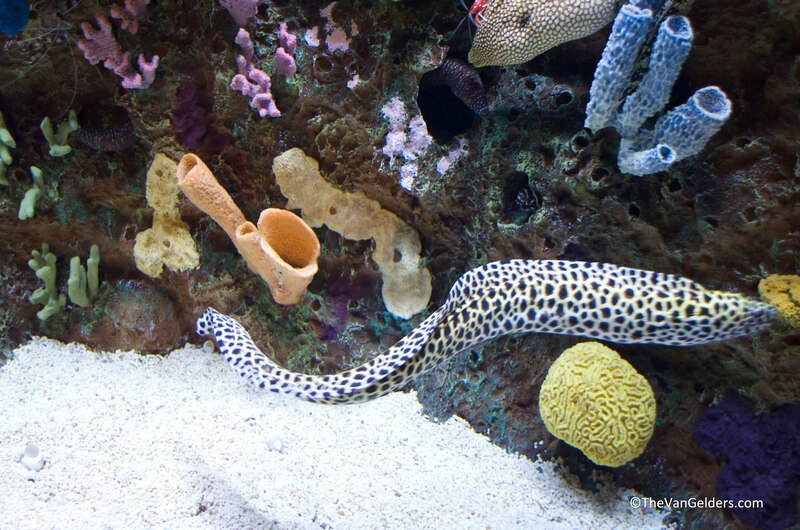 A few times I could swear that an eel has popped out to say hello to me and ducked away when someone else came by. 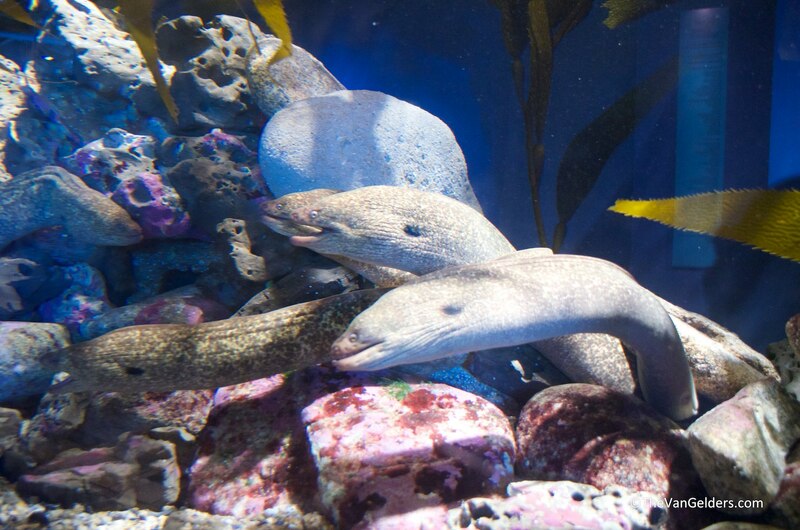 So when we were at the Monterey Bay Aquarium last week I was happy as an….eel to see all my buddies. 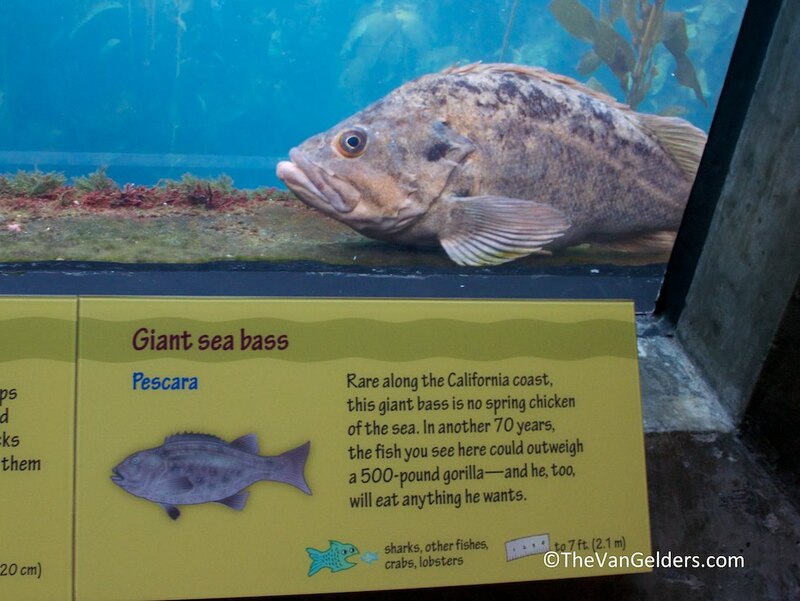 Now there are more than a few cool parts to this regional aquarium, for instance the research they are doing to grow kelp and in turn keep the oceans healthy is amazing. The aquarium is also home to birds, not just outside, one of the tanks has two little disabled ducks that add the to ecosystem. 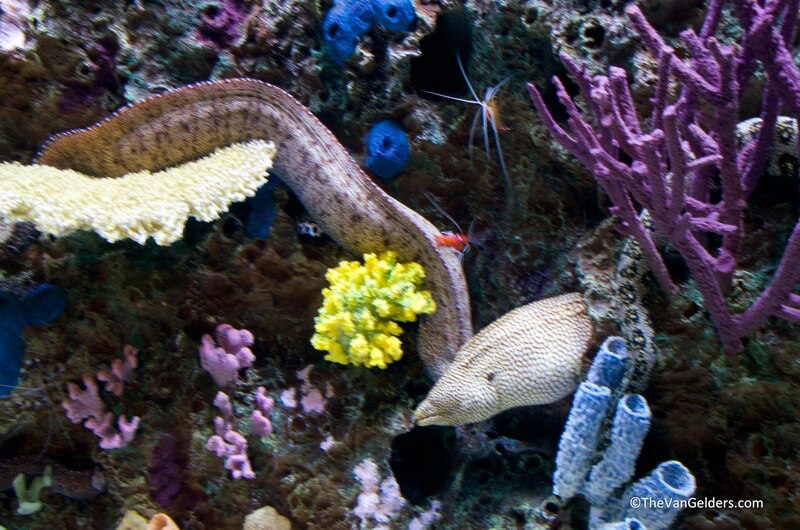 This entry was posted in Amazing Places and tagged eel, Eels, monterey bay aquarium. Bookmark the permalink.